In a disappointing development for a team coming off a promising opening-week win, Vikings QB Sam Bradford is out today after attempting to warm up on his injured knee. Case Keenum will start in his place against the Steelers. After one of the best games of his career, Bradford’s status was uncertain all of this week. 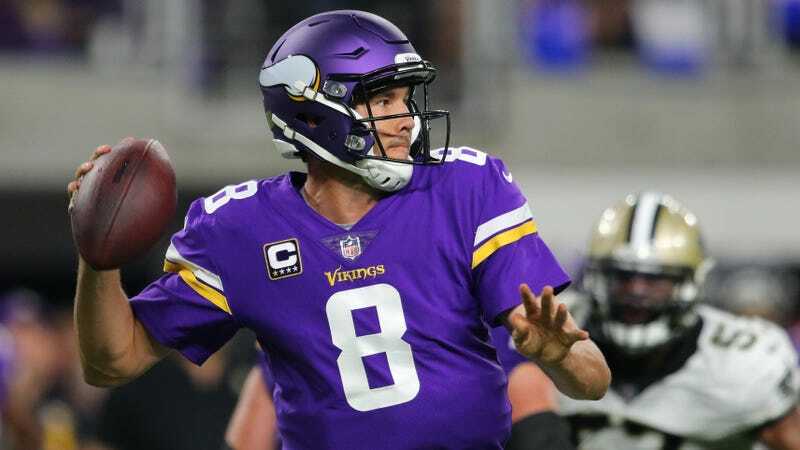 While there were no clear results from an MRI after the QB experienced pain and swelling, Bradford has had two surgeries on his left knee, and Minnesota seems to be playing it safe. Keenum was last seen in 2016 playing for the L.A. Rams, where he was benched in favor Jared Goff after nine games.